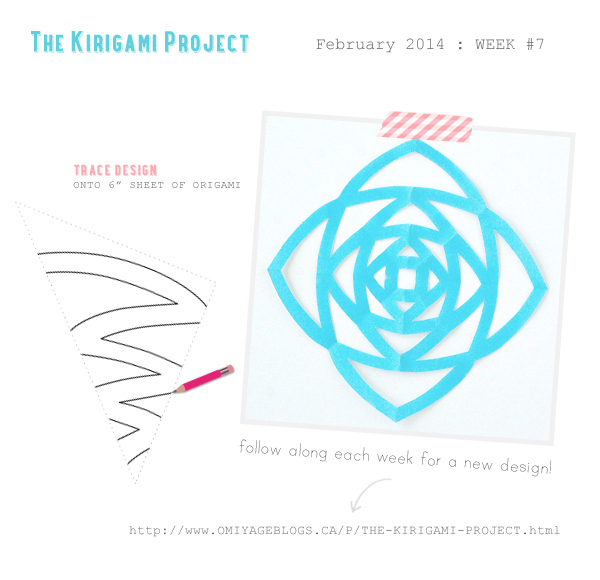 How's your kirigami adventure going so far? I have all mine taped to the office wall - it's a nice respite from all that winter outside the window. 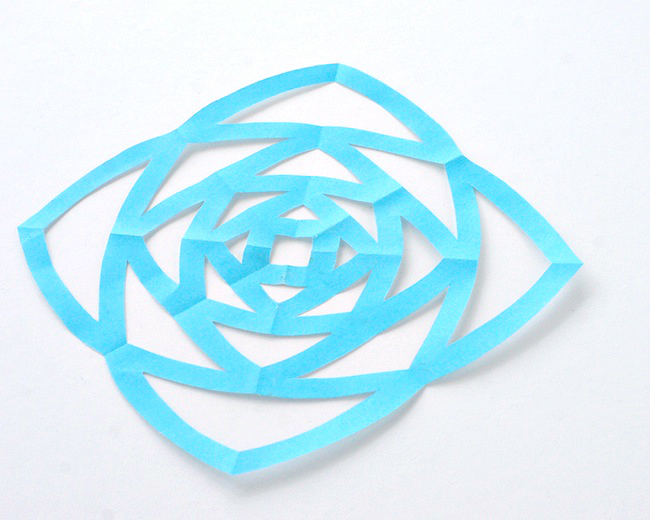 This week we're dipping our toes into geometric-inspired kirigami with this simple design. 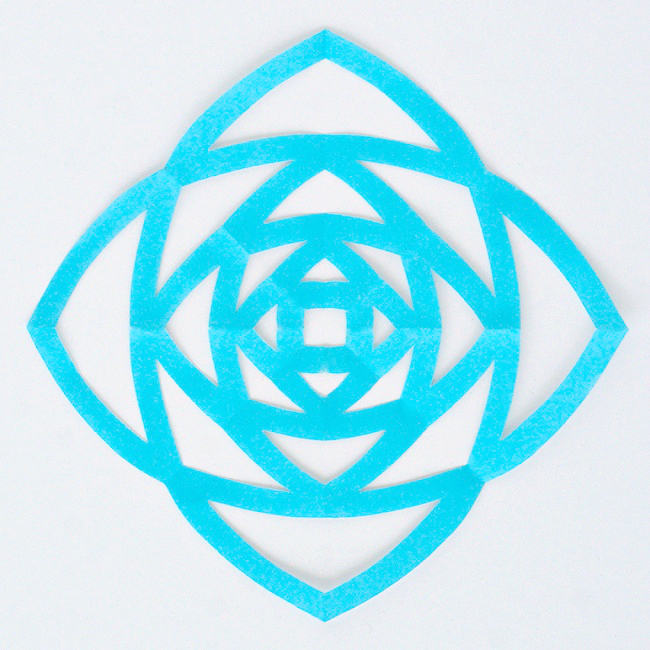 Sometimes a simple geometric design is just what your fingers are itching to cut. Triangle-ish cuts on alternating sides all the way down the length of the paper can result is something quite charming in the big reveal. I rather like the straightforwardness of these types of cuts. To create your own Geometric kirigami design, use the template below and the 4-Point Folding Pattern.